It’s no secret that I’m a huge fan of statement earrings and I’m an even bigger fan when I can score them for a deal! 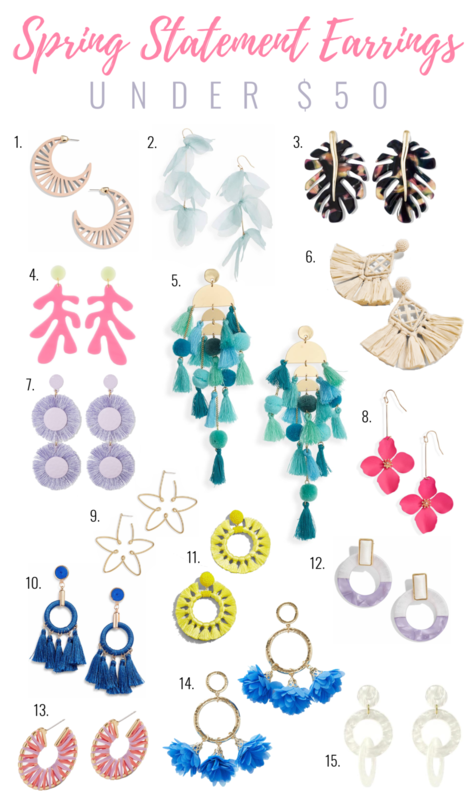 Today I’m sharing a big roundup of my favorite statement earrings for spring and how you can stay on trend without breaking the bank. All of these pieces are under $50 and you can click on any of the images below to shop! Shop my coral tassel earrings here! Clearly I love all the tassels and bright colors- how can you not be happy when looking at all of these options?! I love how they can instantly take an otherwise plain outfit to the next level. Resin earrings are having a huge moment too, I’m all about the pastel colors and tortoise shell and they’re lightweight which is always a plus. 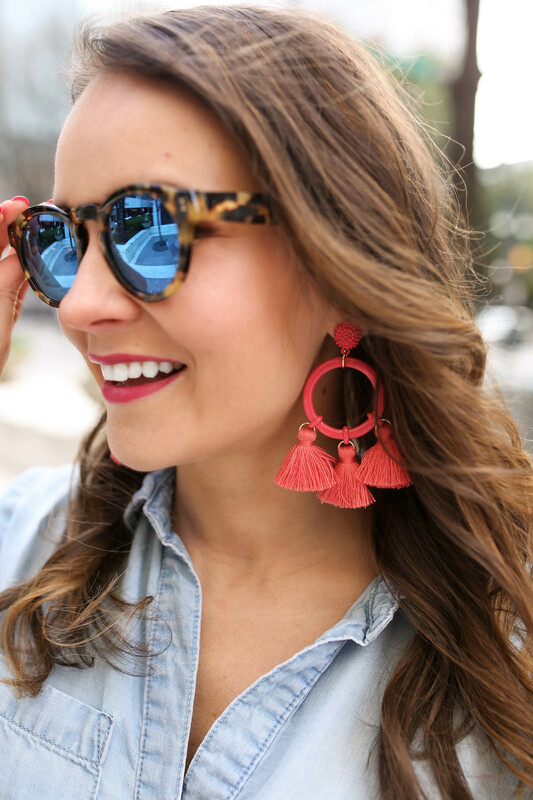 While I love all of these earrings, I just ordered these tassel earrings in coral for an upcoming trip and am extra excited to wear them!! Which ones are your favorite? Let me know in the comments below! These earrings are just so fun and so perfect for spring! I especially love pair number 7! Oh, these are all super cute! I am loving 5, 8, & 9! I love the variety of colors too. These are all so cute! I love #2 and #6! Guess I need to get my ears pierced now haha. You found some great pairs for spring and summer. I love #12 and #14! #6 are definitely my favorite pair! I absolutely love them! I’m a sucker for pretty statement earrings! All of these are so beautiful and I am loving the colors, so perfect for Spring and Summer! So many cute designs and love the colors. I am all about statement earrings. I am such a sucker for a good pair of earrings and it feels like all of these are calling my name! So cute! I need one of everything Love all these fun pieces for spring! I need earring # 4 I love that coral shape and color – such a pretty round up of earrings!